In a recent survey by the Pew Internet and American Life Project and Elon University’s School of Communications, 1,000 technology insiders where asked if they agreed or disagreed with a statement that said, “swiping smartphones” would replace most cash and credit purchases by 2020. Even though only a little over 10% of current mobile phone owners have used a phone to make a payment, 65% of the experts that responded to the survey felt that by 2020, NFC payments would surpass cash and credit cards as the preferred payment type. A number of individuals that participated in the survey noted that they felt that established businesses in the financial service industries would resist a transition to NFC and some consumers will be reluctant about mobile payments. With Google Wallet already available, Isis just around the corner, and rumors that Apple is working on its own mobile payment app, it was clear that they felt that hesitations from a select few would only slow the adaptation of mobile payments, not stop it. What do you think? Are mobile payments the next evolution in monetary transactions or just another technology gimmick? 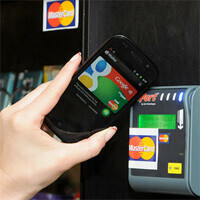 NFC is future. i guess it will be able to challenge and eclipse credit cards as a preffered mode of payment. for nfc to be successful smartphones should be hack proof, no one wants strangers to snoop around their hard earned credits..
what if your battery dies?